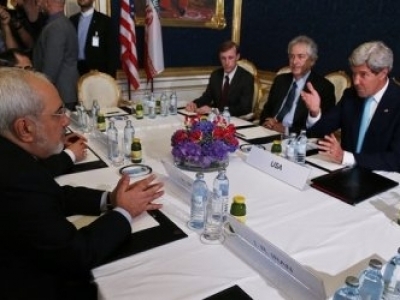 Despite two weeks of intense talks, the P5+1 and Iran did not finalize a deal on Tehran’s peaceful nuclear program. Instead last November’s interim deal was extended for another four months to give diplomats time to hammer out an agreement. After two weeks of intense negotiations including two days of talks between Iran’s Foreign Minister Javad Zarif and his US counterpart John Kerry, it was announced on July 20 that talks over Iran’s peaceful nuclear program will be extended. Iran and the P5+1 countries’ representatives announced that much progress had been made but there were still several hurdles to finalize. The main points of contention seem to be the number of centrifuges Iran will run to enrich uranium and the time period during which Tehran’s suspension of enrichment would remain in force. There was also the issue of Iran converting its low grade uranium into oxide in order to preclude its being converted into gas before its enrichment to 90 percent that is considered bomb-grade material. When talks ended on July 20, it was announced that the interim deal of November 2013 will be extended to November of this year. Under its terms, Iran will continue to observe suspension of some of its enrichment activities in return for release of additional $2.8 billion of its funds. It is hoped that expert level talks will enable the two sides to bridge the remaining gap during this time. As far as Iranian Foreign Minister Dr Zarif was concerned, as quoted by David Sanger of the New York Times, the deal could be finalized in one day if there was political will from the other side. He emphasized that the other side had to make the hard choices that have stymied agreement so far. “The Iranians demand their rights, they will implement their rights, but they’re willing to be open and to be flexible to find a solution to the problem. But Iran’s sovereignty is not up for grabs,” said Mohammad Marandi, professor at Tehran University, during an interview with Press TV on July 15. Professor Marandi, who is Dean of North American studies, added that Iranians had shown great flexibility and openness over the past few months to resolve the nuclear issue, stressing that it was now up to the US to decide whether it was willing “to come to terms with Iran or not.” He emphasized, however, that Iran’s right to enrich uranium for peaceful purposes was a red line that could not be crossed, noting that Tehran will not accept any long-term restrictions on the amount of uranium enrichment. 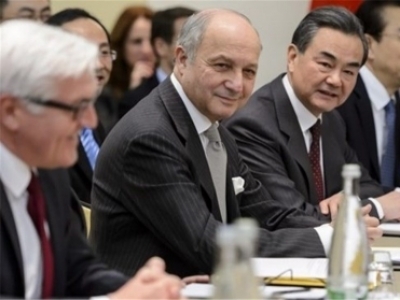 During the Vienna talks, it emerged that the US and other P5+1 members had put forward a 10-year suspension period for Iran’s enrichment while Iran proposed a 7-year timeframe. This is based on the fact that Iran would not need to produce fuel for the Bushehr nuclear power plant for another seven years. “We want to produce only what we need,” Dr Zarif said. “Since our reactor doesn’t need fuel for another seven years we don’t have to kill ourselves for it. We have time.” Iran is also pursuing a possible deal with Russia on cooperation in fuel fabrication, according to a document on Iran’s nuclear energy needs recently released by Tehran. If finalized, such an agreement could eliminate the need to begin replacing Russian fuel immediately after the expiration of the present contract. 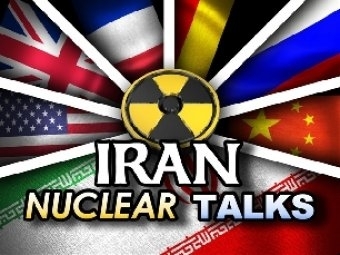 The other sticking point was the US proposal that it would suspend but not eliminate sanctions against Iran, a proposal categorically rejected by Seyyed Abbas Araqchi, Iran’s Deputy Foreign Minister for Legal and International Affairs and chief nuclear negotiator. He said that Iran was looking for the complete lifting of all sanctions that in any case were illegally imposed since they were based on a false premise: that Iran is making a nuclear bomb. He emphasized that Iran was not interested in partial solutions; either there was complete lifting of all sanctions or there will be no deal. 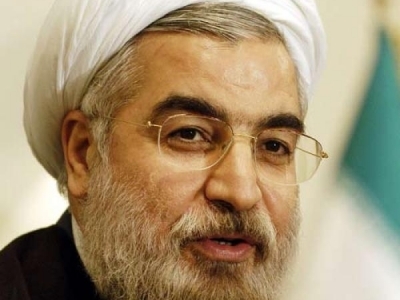 Iranian negotiators have stated that while they are willing to consider the seven-year freeze, it is conditional on being free to operate without any special restrictions after that period. The west wants the International Atomic Energy Agency (IAEA) to verify Iran’s compliance but the agency unfortunately is not free from western political pressure. It decisions are not always based on technical aspects but tainted by political considerations in which false allegations are made against Iran. For instance, the agency has never been able to find any diversion of uranium for military purposes but its reports keep on harping on not being able to verify that no material has been diverted. 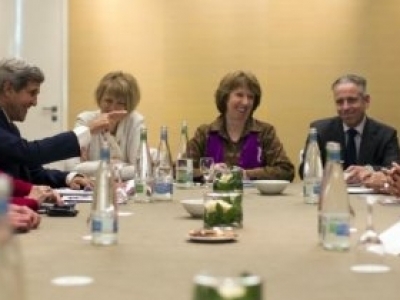 The agency under western and especially Zionist pressure wants Iran to disprove a negative. While western officials have never been able to present evidence of any Iranian violations of its nuclear non-proliferation treaty (NPT) obligations, they continue to talk about a long list of conditions they want to impose on Iran. It seems they do not have the political will to arrive at an agreement since it would expose their false propaganda against Iran throughout these years. Dr Zarif of Iran told Sanger of New York Times: “I’m not here to present maximalist positions; we’re here to reach an agreement.” Are western officials in a position to agree to a fair deal or they will simply parrot the zionists’ ludicrous demands that have no basis in fact? The answer to this question will become apparent when the two sides resume negotiations in Vienna in a few months’ time. True, there will be discussions leading to the final deal but their outcome will depend on the west’s willingness, free from zionist coercion and blackmailing, to sign a deal. Should such understanding prevail in future negotiations, then one can be guardedly optimistic for a nuclear deal with Iran.